NFL fans, you’re going to want to get this game. 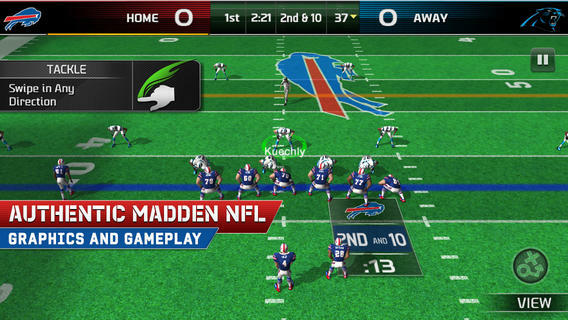 EA has launched Madden NFL 25 for iOS today as a free game. Last year’s game was $4.99 in the App Store. This year marks 25th anniversary for the franchise (hence the title) and today has a simultaneous launch on the PS3 and Xbox 360 as well. BOOM! MADDEN NFL 25 is here! Get ready to run the show on offense and defense with the most authentic football game on the App Store. 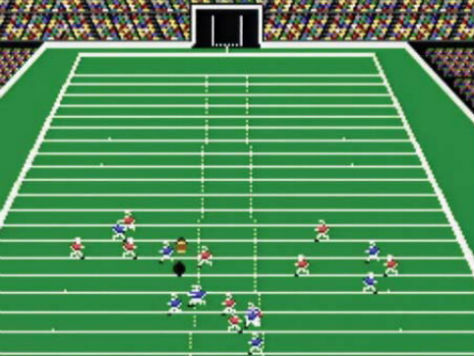 USA Today takes a retrospective look at the football franchise, which launched in 1988 as the first 11-on-11 Madden pro football game for the Apple II computer. 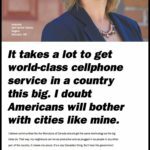 My goodness have times changed. Look at those graphics then and now (which is in the palm of your hand). Click here to download Madden NFL 25 for iPhone and iPad–it’s free!